Berlinale director Dieter Kosslick was honoured with the Special Medallion on September 2, 2018 at the 45th Telluride Film Festival. The well-known US film festival annually bestows the award on “a hero of cinema - an organization or individual - that preserves, honors and presents great movies”. Past recipients include the Criterion Collection, HBO, Ted Turner, Stanley Kauffmann, Manny Farber, Pierre Rissient, Leonard Maltin, Serge Bromberg and the UCLA Film & Television Archive. “Dieter fundamentally grasps the collaborative nature of filmmaking, and the fact that projects need to be nurtured from inception to launch to preservation. His pioneering work in film funding laid the seeds for what would grow into a robust, new era for German production. 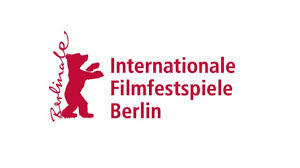 His signature Berlinale Talents program engages the spectrum of individuals involved in filmmaking; inviting emerging producers, writers, directors, cinematographers, etc. to convene in Berlin (though now in cities worldwide) with the goal of making better films together”, said Rajendra Roy, Chief Curator of Film at MoMA New York, in his laudation. The 45th Telluride Film Festival took place from August 31 - September 3, 2018.